Gambling consists of making a bet on the outcome of some event. Bets may be placed on horse races, sports contests, or games of chance such as dice, cards, bingo, lottery, slot machines, or roulette. Bets usually consist of money or other assets which are won or lost depending on whether a correct or an incorrect prediction is made. The prospect of winning a large jackpot sometimes motivates people to take unusual financial risks that may lead to gambling addiction and bankrupcy. Gambling is usually considered immoral because it contributes to greater poverty, and those who lose their money may be tempted to steal or commit crimes to pay their debts or continue gambling. The seven deadly sins are lust, gluttony, greed, laziness, anger, envy, and pride. Gambling is seen as the manifestation of greed and laziness since gamblers desire to get rich quickly with little investment and without working. In the United States, most states prohibit gambling. Violations of the laws are considered misdemeanors or felonies punishable by fines and prison. However, most gambling statutes only criminalize games of chance in which no skill is required, and they make exceptions for state-controlled gambling and social gambling. The laws are aimed primarily at the type of gambling operations that can be used to finance organized crime. In spite of the moral objections to gambling, many churches and state governments sponsor revenue-generating activities through bingo, lotteries, raffles, and other games of chance which are structured to always pay less than the revenue that they produce. The odds are in favor of the game operator and the gambler has little chance of winning in the long run. It has been been estimated that the chance of getting hit by lightning is much higher than the chance of winning a large lottery jackpot. Even though people understand that the chance of winning is very small, they buy lottery tickets because if they don't play they cannot win, and someone will eventually win. Losing a few dollars is seen as fairly insignificant compared to the prospect of winning millions of dollars. The pressure to increase officially-sponsored gambling is very great because when state governments do not provide ways for people to gamble within the state, millions of dollars drain away to adjoining states that permit gambling. Casinos are some of the most profitable businesses in the world which do not produce a product. Although casinos are highly regulated by government agencies to reduce scams and cheating, the public is seldom aware of the odds of winning any particular game. Casinos have mastered the art of temptation. A barrage of psychological and economic incentives are designed to part you from your money. Once you have have made a bet and lost some money, you have a greater motivation to continue betting in order to recover your losses. Unless you are extremely disciplined and stop betting, trying to recover a gambling loss can start a vicious cycle in which you keep losing against the casino. In the end, the casino always wins because the odds are stacked in its favor. Money is converted to "credits", tokens, or chips for gambling. This abstraction makes it harder to keep track of how much money has actually been lost. Once real money has been converted to play money, it takes significant mental effort and discipline to cash out, even after a win. Customers at slot machines receive frequent, small prizes at irregular intervals. This encourages continued betting in the hope of getting a big jackpot. The mathematical complexity of some slot machines disorients customers by allowing multiple lines of play and various bets. A "penny" machine may allow 25 lines of play at up to 10 credits per line. Each pull of the handle at the maximum bet will cost $2.50, which is fifty cents more than on some "dollar" machines. Casinos keep customers in the gambling halls by offering hourly prizes that must be claimed within 30 minutes. Customers are required to insert a casino ID card into a slot machine to qualify for hourly prizes. Although there may not be a requirement to gamble, once the card is in, the customer may actually feed the machine. Gambling halls are filled with happy loud sounds like the tinkling of coins and simple ditties for winning bets and quiet short sounds for losing bets. Hypnotic rotating wheels and video displays with flashing images keep the customer's attention on the slot machines and gaming equipment. Slot machines programmed with "near misses" make customers think that they are close to winning thereby encouraging further play. The psychological stimulus of almost winning augments the desire to continue playing to try to get a big prize. 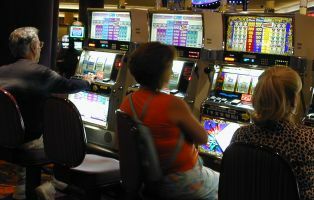 The loud ringing of slot machines paying out a jackpot serves to convince players who have been losing on nearby machines that it is possible to win by continuing to play. Slot machines flash messages such as "Play 3 Credits" which imply that it is advantageous to maximize the amount of the bet. These messages act like subliminal suggestions that may be obeyed subconsciously. Casinos usually program slot machines to pay the jackpots only when the maximum credits are played. Even if the machine hits the best winning combination, the big jackpot is not paid unless a maximum bet was made. This encourages players to increase their bets or lose out on the big winnings. The low level of lighting and the absence of clocks in a casino relaxes the customers and makes them lose track of time. Casinos provide free alcoholic drinks to gamblers at the slot machines or game tables. People gambling under the influence of alcohol have poor judgement and lose their money faster. Casinos have chairs only in front of the slot machines and game tables. This eventually forces tired customers to sit down to relax in situations conducive to gambling. The floor plan of a casino is like a giant maze. The gambling machines and the gaming tables are arranged in staggered clusters that make it impossible to walk between two points in a straight line. It is necessary to meander through a variety of machines and games, and it is very easy to get lost and disoriented inside a big casino. Keeping the customer in the casino increases the chance that he or she will spend some money in a slot machine or at a table game. Casinos establish a tier system with labels of "platinum", "titanium", and "diamond" for the more prestigious players, whereas the ordinary players are assigned categories like "gold" or "red label". The higher ranks with greater fringe benefits can only be achieved by increased level of play or by winning large jackpots. Big players have access to the "high roller" areas which supposedly pay bigger percentages. Free bingo on weekdays brings many patrons for the chance to win $1000 Dollars in one game. The casino may spend $10,000 Dollars in prizes to bring 1000 people, but each person will usually spend more than $10, and the casino will make money on days when business is usually slack. Casinos frequently mail post cards that offer $75 dollars or more of Free Slot Play on Mondays. People will either stay up after midnight on Sunday or miss work on Monday to take advantage of this opportunity. Casinos offer free food or large buffets at reduced prices with the idea that people will come for the food, and then spend money gambling. This strategy also keeps patrons in the casino longer, and keeps them coming back. Casinos offer memberships with benefits based on play time and money spent to make the customer feel that they get something in return even if they lose their money gambling. Gambling activities generate reward points (Comp Dollars) that can be used for additional bets or for purchasing food or amenities at the casino. Comp Dollars are equal to one regular dollar, and they can be spent like real money on food, rooms, bars, spa, and entertainment. Frequent gamblers receive offers for vacations at out-of-town associated gambling establishments. High level members receive priority access to hotel, spa, restaurant facilities, and free parking. Previous winners are invited back to the casino with attractive offers. The casinos hope to recover some of the money that they paid out to the winners. Every casino has a credit department where patrons can obtain gambling credits (markers) by using assets like titles to cars, homes, or businesses as collateral. It is very hard to pay off these loans when you lose your bets. 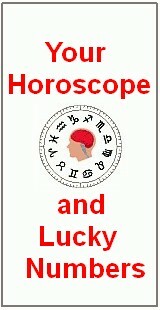 Constant or frequent compulsion to risk money or assets beyond the ability to pay. Gambling with money allocated for rent or a mortgage payment. Suffering great financial stress as a result of gambling. Borrowing against the equity of a home or other property to gamble. Great optimism about winning which is not based on any practical or statistical evidence. Self delusion about the ability to observe winning patterns which will "beat the odds". Take this quick quiz to determine whether you have a gambling problem. Is gambling straining your family relationships? Does gambling affect your work attendance or performance? Do you have a reputation as a gambler? Have you felt remorse after gambling? Do you gamble to try to pay debts with your winnings? After losing, do you feel the need to gamble again to cover your loses? When you win, do you gamble to try to extend your winning streak? Do you often gamble until all your money is gone? Do you borrow money for gambling? Have you ever sold property to finance gambling? Do you hesitate to use "gambling money" for regular expenses? Have you ever done something illegal to finance your gambling? Have you ever thought about suicide as a result of gambling? If you answered "yes" to any of these questions, you should consider counseling. Never borrow money to gamble. Never. Don't lend money to a gambler. You will probably never get it back.